With exactly three weeks left until Batman v Superman: Dawn of Justice hits theaters, there is still plenty of mystery swirling around the project. It has long been rumored that Jena Malone is playing Barbara Gordon, a.k.a. Batgirl in the superhero adventure, but her role has never been confirmed as of yet. Entertainment Weekly has a new report, which reveals that the actress' character has actually been cut from the theatrical version. But fans will get to see her at some point. The site wouldn't confirm who she's playing, but they did confirm that Jena Malone is nolonger in the movie. Although, she will likely return in the R-rated cut of Batman v Superman: Dawn of Justice. We reported last month that the MPAA has issued an R rating for an "Ultimate Edition" of Batman v Superman: Dawn of Justice. Since the ratings bulletin listed Warner Home Entertainment as the distributor, not Warner Bros. Pictures, it means that this version will be released on Blu-ray and DVD, presumably sometime later this year. The listing doesn't offer too many details, only stating that it was rated R for "sequences of violence," while noting that the "content is different from PG-13 version." As for who Jena Malone is playing, that hasn't been confirmed yet, but she was previously rumored to be playing Carrie Kelley, Kahina the Seer and Barbara Gordon, a.k.a. Batgirl. Entertainment Weekly did manage to catch up with director Zack Snyder, who didn't reveal what character the actress is playing, but he did shoot down rumors that she's playing either Robin or Batgirl. Here's what the filmmaker had to say below. "I think we should keep it private, but it's nothing that's been talked about. She's definitely not Robin or Batgirl. I'm happy to say that." We reported yesterday that Batman v Superman: Dawn of Justice is currently tracking for a domestic opening of anywhere between $120 million and $140 million, with a global total that ranges between $300 million and $340 million. The global debut is expected to be shown on over 30,000 screens across the world, in every market except for China. A Chinese release date has not been announced yet. If Batman v Superman: Dawn of Justice does earn between $300 million and $340 million on its opening weekend, it will be the fifth highest global opening ever for a superhero movie, behind Avengers: Age of Ultron ($392.5 million), Marvel's The Avengers ($392.5 million), Spider-Man 3 ($381.7 million) and Iron Man 3 ($372.5 million). In the U.S., Batman v Superman: Dawn of Justice is expected to open in more than 4,000 theaters in 3D, 4DX, PLF and IMAX formats. Analysts also claim that the movie is currently outselling 2012's The Dark Knight Rises, which previously held the record for pre-sales with $25 million, before that record was shattered in a matter of hours by Star Wars: The Force Awakens. It's worth noting that The Dark Knight Rises opened at $160.9 million, with one unnamed studio analyst claiming that, if it outpaces The Dark Knight Rises' early ticket sales, it could have a domestic opening weekend upwards of $180 million. 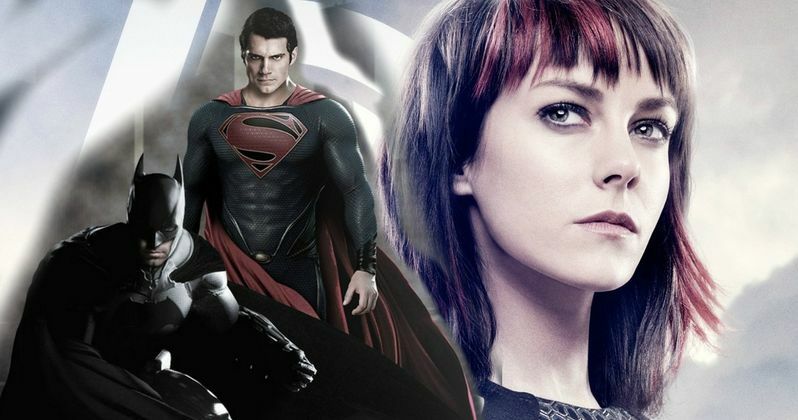 Are you disappointed that Jena Malone's scenes were excised from Batman v Superman: Dawn of Justice?